When I first started #PPDChat, I had no idea where it would go. Or if people would even want to talk about Postpartum Mood Disorders on Twitter. Postpartum Mood & Anxiety Disorders are often discussed behind closed doors in hushed voices. It’s not the sort of thing you climb up to the rooftop and scream about. You don’t post a sign along with the “It’s a girl!” or “It’s a Boy!” saying “I have a Postpartum Mood & Anxiety Disorder!” No. It’s not like that at all. It’s quietly survived, shoved to the back of the table, ignored, discarded as a topic of conversation. Through the blessed advent of technology, more and more women are using their keyboards to raise their voices –detailing their experiences with Postpartum Mood & Anxiety Disorders. Husbands are sharing too –their survival of their partner’s struggle– and some, even their own struggle with depression or anxiety after a child joins their lives. Postpartum Mood & Anxiety Disorders survivors and fighters are not so silent any longer. Yes. 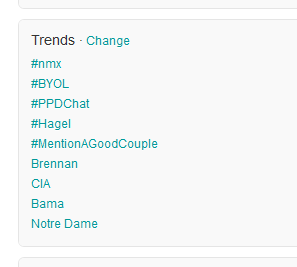 That’s humble #ppdchat, trending. On Twitter. Twitter, where there are millions of tweets every day, thousands of tweets per second. I don’t know what #PPDChat did to deserve a spot on the trending list – we were just having our weekly moderated chat at 1pm ET. And then BAM. On the list. Whatever algorithm gods saw fit to smile upon us today, thank you. 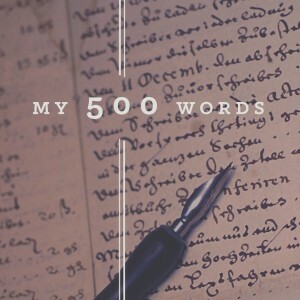 Thank you for shining your light on a humble little chat dedicated to destroying the stigma and misinformation of Postpartum & Mood Disorders –dedicated to allowing women across the globe to connect and feel a little less alone in their dark vortex of pain. But most of all, a HUGE THANK YOU to every single person who has ever participated in a chat. To every single person who has ever said thank you or encouraged me to keep on keeping on with my work with #ppdchat. Every second of it is a blessing and seeing the community in action is mind-blowing –every time. Even to those who only read along with the chat, thank you too for following us. Because without participation, without support, this, trending on Twitter for just a short bit, would never have been possible. Thank you. Thank you all for raising your voices and silencing the stigma and misinformation – for supporting each other – and for being AWESOME. Because we are not alone in the dark.